Mark Cavendish matched Piet Oellibrandt’s record today, winning the Scheldeprijs one-day classic for a third time. HTC-Highroad’s Cavendish put several bike lengths between himself and Russian Denis Galimzyanov (Katusha) and Yauheni Hutarovich (FDJ) after four and-a-half hours and 200 kilometres. 2002 winner, Australian Robbie McEwen (RadioShack) finished fifth. Scheldeprijs was Cavendish’s second win of the season after a sprint win in the Tour of Oman. Cavendish took his first professional win in here Schoten back in 2007 ahead of McEwen. He returned a year later and won ahead of Tom Boonen. “I have really great memories from here,” he said. “Missing it 2009 and 2010 was upsetting. The team was incredible to back me to get the win. They worked all day, riding a great tempo. Eisel kept me right at front the whole last lap, I was in every corner first because of Bernie.” Madison world champion Leigh Howard was Cavendish’s final lead-out man today. American sprinter Tyler Farrar (Garmin-Cervélo) was taken out in a crash in the final three hundred metres involving Wouter Weylandt (Leopard-Trek), Sjef De Wilde (Verandas Willems-Accent) and Chris Sutton (Sky). Weylandt, De Wilde and Sky’s Edvald Boasson Hagen (who crashed into a tree with 30km to go and has suspected broken ribs) all went to the hospital. Crashes have marred the race in the past. 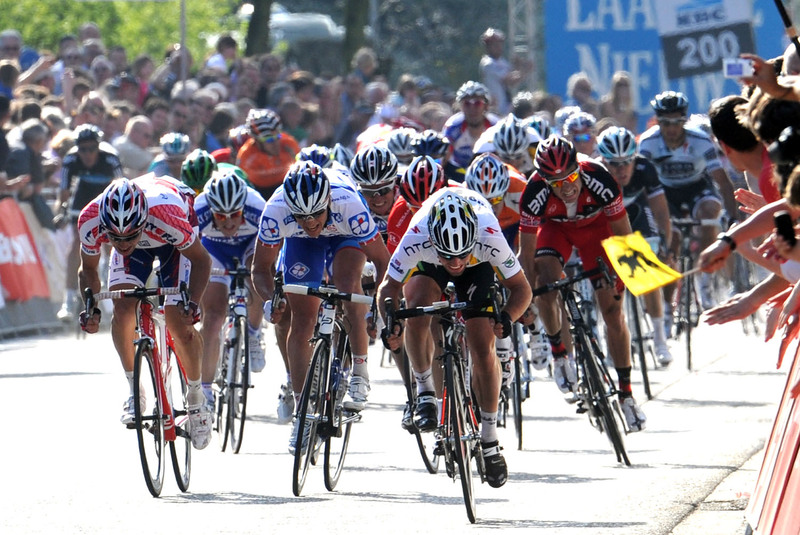 In 2009, Alessandro Petacchi won ahead of a crash involving McEwen and Greg Van Avermaet. 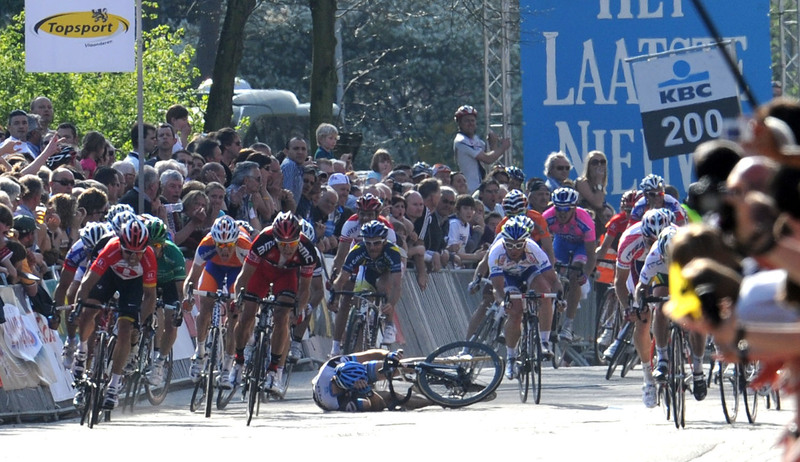 Ludovic Capelle won in 2003, but in the final two kilometres, Julien Dean, Robert Hunter and, again, McEwen crashed.